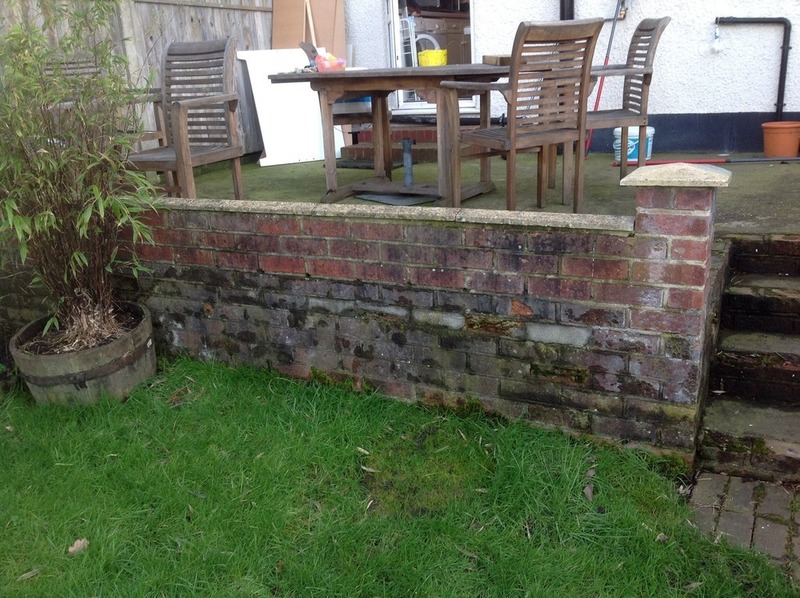 Current situation: bricks on garden patio wall (around 9meters) are falling off, bricks on steps are wearing out. See pictures attached. 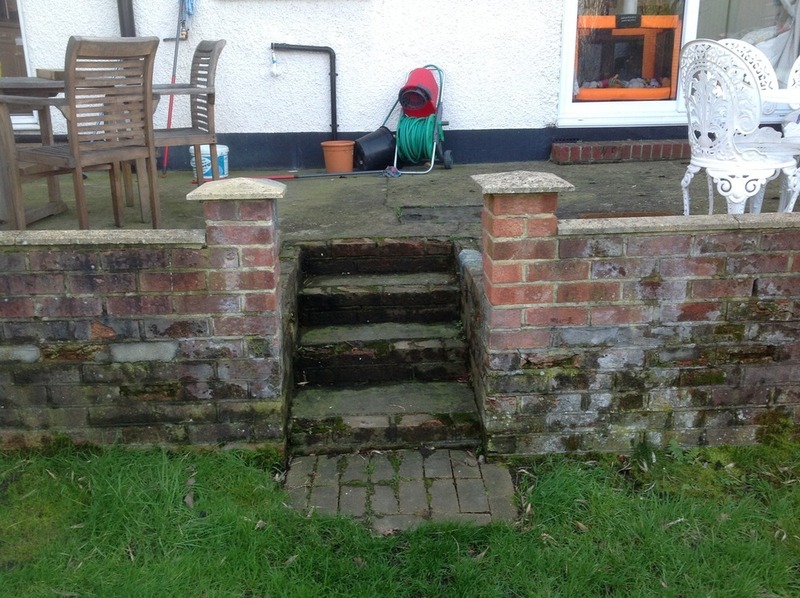 Would like to 1) remove the loosening wall 2) fill the current steps and build steps out into garden. 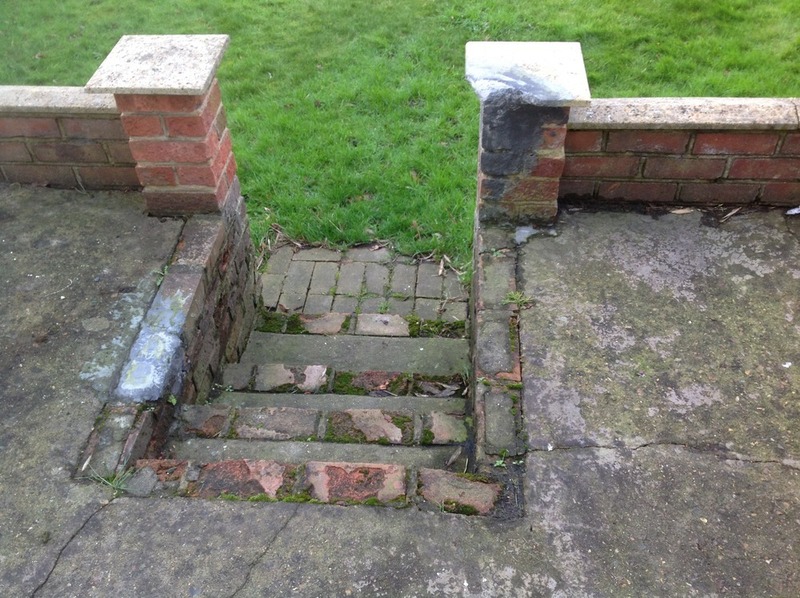 3) putting in either new wall or iron railings to patio and sides of steps. 4) resurface the patio On tight budget, ideas welcome. 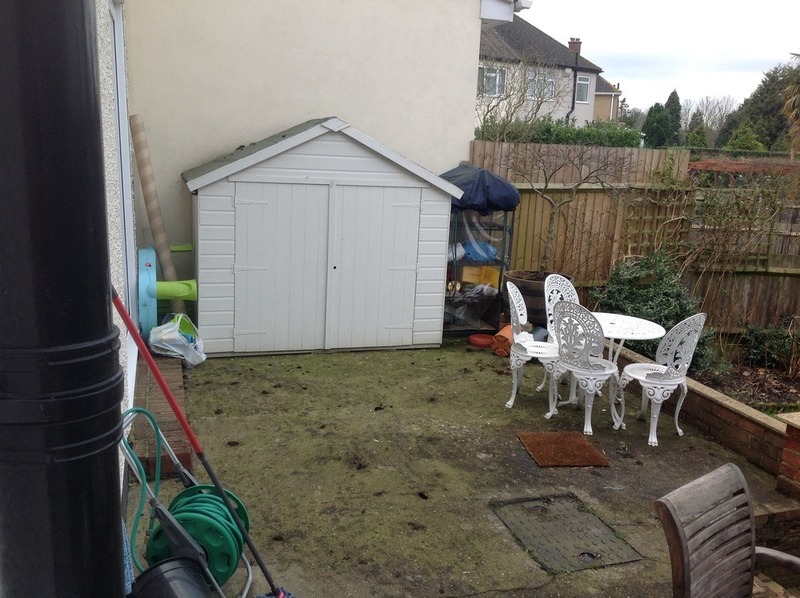 Added 4th February, 2015 : To move the small patio shed to garden, including foundation work. 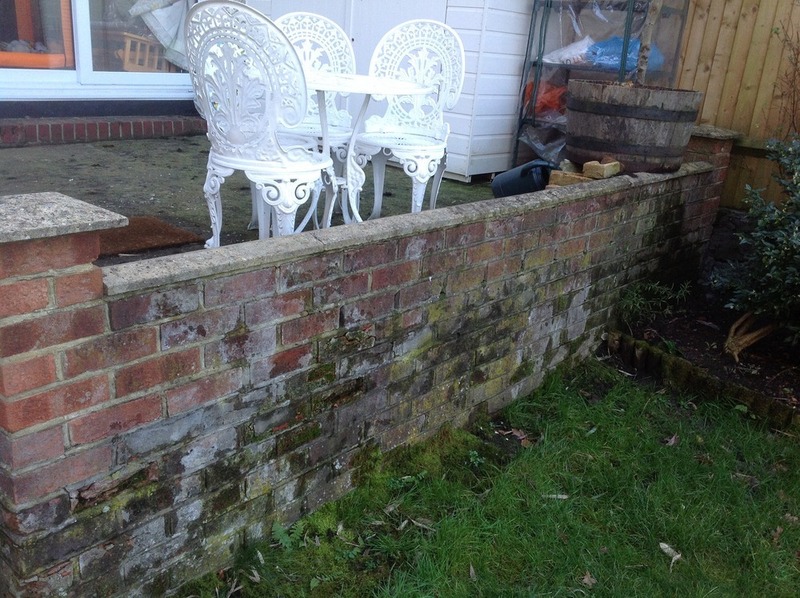 Added 4th February, 2015 : The above is extra work that we realise we will have to do that in order to do the patio. Mark and his team has done a great job transforming our patio. We are very happy with the outcome. Mark came to view the job quickly and as we were not sure what to do, he gave us a few different options with detailed quotes. This helped us a lot to decide which plan to go and we were impressed with his knowledge and prompt communication with us. During the building process, Mark and team were considerate and seeked constant feedback regarding the building work. It took bit longer than originally estimated but the end result was very good. Mark came back to fix a few minor things afterwards and gave us a guarantee for the work he has done. Mark is a honest, skilful and straightforward builder, and I would be happy to ask him to do work for us again or recommend him to my friends.